Over two hundred films, mostly blockbusters, made over the past fifty years. Compiling a top ten list for Amitabh Bachchan is by definition an impossible task. It is also a frightening one as even the most considered, academic of lists must exclude beloved films. The films below are not necessarily his most successful, nor are they benchmarks of some arbitrary ‘film quality’ or those for which he received the highest acting awards and critical acclaim. Yet in all his oeuvre, these are the films I love most, often for deeply personal reasons. The film I turn to when I feel homesick or when I miss my family. A story about three siblings separated by fate and then reunited resonates deeply, perhaps because my own two siblings and I spent little time growing up together. We only grew close as adults so the line “ek, ek se bhale do. Do, do se bhale teen” (One. Two are better than one. Two. Three are better than two) in the title song seems all about us! I saw this in a small ‘picture hall’ in Varanasi as a child and only remember it as a terribly sad film. Years later, while at university in the US, I was reading bell hooks and Angela Davis, Edward Said and Frantz Fanon, and the film grew resonant. Then it became my political awakening – even radicalisation text. I trace my fiction – and cinephilia – to this film. I was about eight but I remember a sudden feeling of something magical, an instinctive knowledge that stories were power. I still remember desperately needing to understand how stories created that magic and obsessively dissecting the movie to my family. I am still surprised they didn’t disown me! We had just moved to Islamabad and I was desperately homesick. I was also being awfully bullied at my new school. I must have watched this film (on VHS) at least 300 times over the next two years. I owned the jacket. And when things really got bad with the bullying, I ‘did a Bachchan’ – i.e. go in swinging with all I had. The bullying stopped after that. Bachchan nearly died filming this movie but miraculously recovered. Even before its release tickets were booked for weeks in advance. But I wasn’t really interested. I was missing my dad who was in another country and far away. Then the night before its release, the doorbell rang. It was a friend of my dad’s who also was supposed to in that far-off country. He brought greetings and a handful of VIP tickets for ‘first day, matinee show’. I knew then magic didn’t just happen in the movies. A movie I don’t remember watching and yet have known all my life. It seems to have been already and always present in my consciousness, and I can go for years without watching it again and yet in the midst of everything, in the strangest of lands, bars of a song or a line of dialogue will just pop into my mind. The Chasnala mine disaster of 1975 is embedded in my memory as a series of hushed adult conversations. Relatives and friends were in Dhanbad and the horror was personal and familial even if little understood as a child. This movie made sense of the tragedy. It also is likely to blame for my acute claustrophobia. I was in Barcelona, working on my second novel, and very much thinking about mortality and loss. 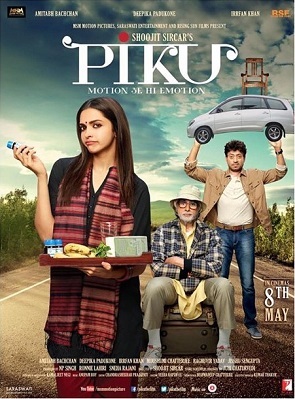 My best friend dragged me out to a special screening of this film and I remember the visceral shock of seeing an aged, frail, somehow brittle Amitabh on screen. Given all the life lessons Bachchan has taught me, it is only apt that he bring the first intimations of mortality as well. I watched this in Dehradun in a proper picture hall, one of old traditional ones that has since been turned into a shopping mall. It is also one of the two films I remember watching alone with my parents. 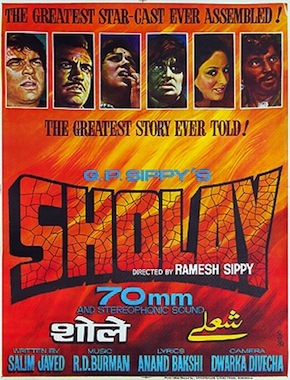 The previous one was in 1972 and I have no memory of the film but I remember that my father had returned alive from the Bangladesh war, his uniform was scratchy, and my mother wore a sari of midnight blue embroidered with silver stars. 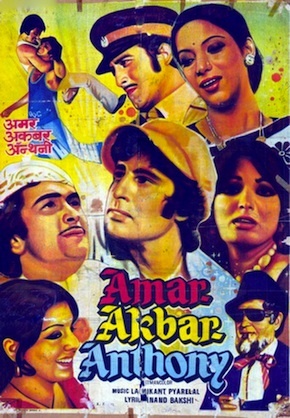 My life is so punctuated by Bachchan’s on- and off-screen presence that this film both saddens and terrifies me. The terror of seeing parents age and grow fragile is bad enough. That I seem – like the film’s namesake – to not have the boundless patience for my parents as they age that they had for me when I was a child is a particular personal failure. Sunny Singh was born in Varanasi and brought up in various Indian cantonment towns, Islamabad and New York City. She studied at Brandeis University in Waltham, Massachussetts, Jawaharlal Nehru University in New Delhi, and the University of Barcelona, and currently teaches Creative Writing at London Metropolitan University. She has published three novels, a non-fiction book on lives of single women in India, numerous short stories and essays. Her latest novel Hotel Arcadia is published by Quartet Books. 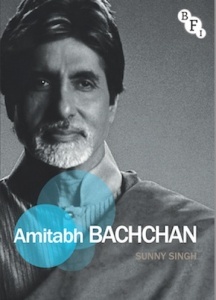 Amitabh Bachchan is published by Palgrave on behalf of the BFI in paperback and eBook, the latest title in the Film Stars series.